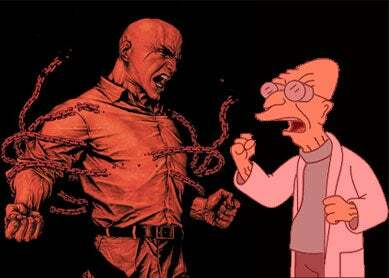 Mad Scientist Smackdown finale: Luthor Vs. Farnsworth! It's finally come down to this: The two craziest, brainest minds of them all are facing off, and only one can win. Will Professor Farnsworth be saying "Good news, everybody," or will Luthor be standing triumphant? You decide!